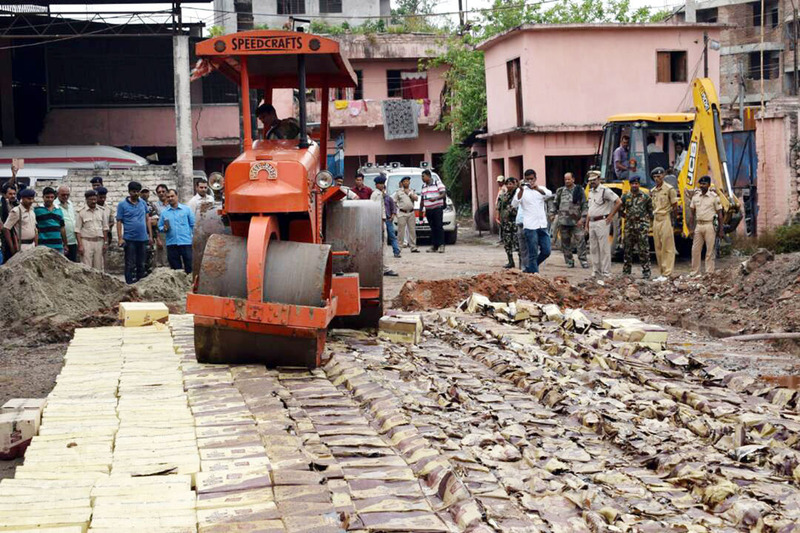 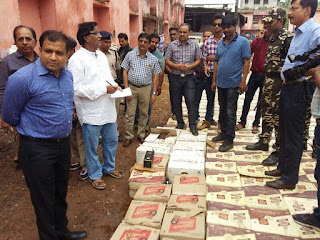 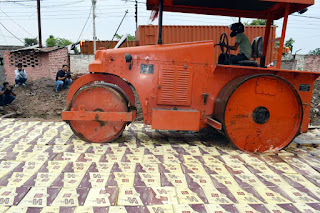 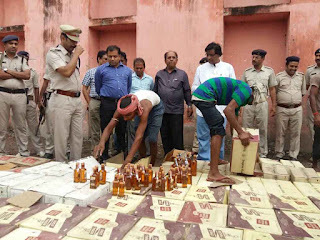 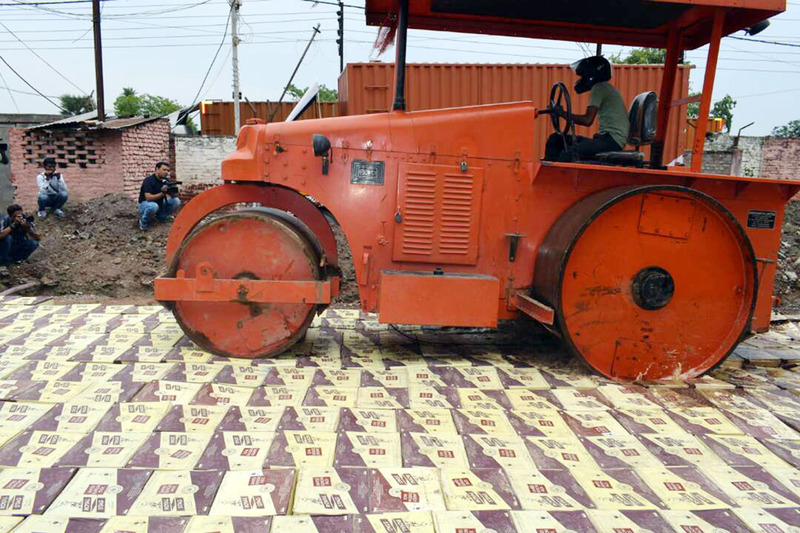 Patna: District administration on Tuesday destroyed 9645 liters of India made foreign liquor (IMFL) kept in 17596 bottles at Bihar State Beverage Corporation Limited warehouse at Lakhanibigha (Khagaul) by road roller. 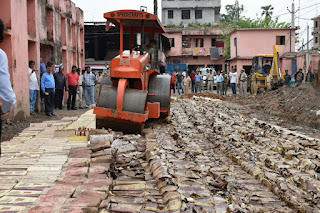 The entire operation was supervised by Patna district magistrate Sanjay Kumar Agrawal. 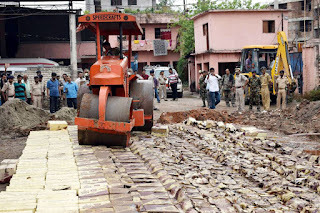 The entire lot was seized by the police in Fatuha on October 20, 2016 when it was transported in a truck from Haryana to some location in Patna district. Bihar government had imposed complete ban on sale,purchase and consumption of liquor in state since April 6, 2016.